Ice Castles at Stratton Mountain Resort | The Kids Beat | Kids VT - small people, big ideas! Artist Brent Christensen takes ice sculpture to a new level. 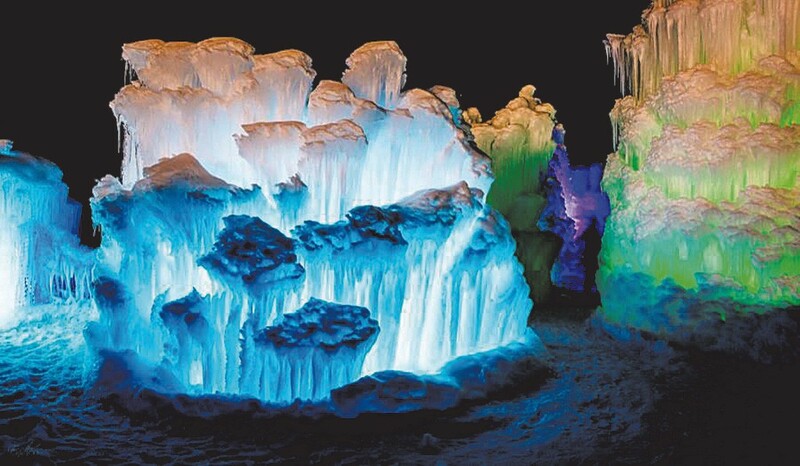 Since 2009 he has created massive, LED-lit ice castles around the U.S. This winter, his spectacular exhibit spans two acres at Stratton Mountain Resort. 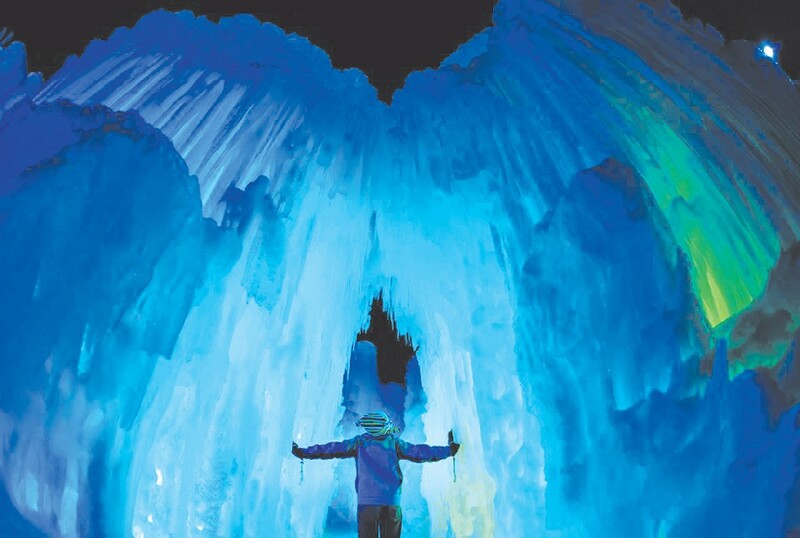 Explore frozen waterfalls, mazes, enormous archways, tunnels, ice thrones and other formations, all created entirely by hand using icicles and water. "It's magical," says Christensen. "And what's really special is that every visitor gets a distinctive experience since the ice is constantly melting, freezing and being reshaped." 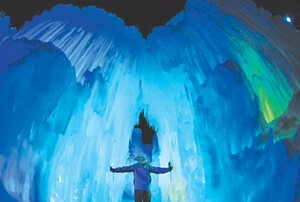 Ice Castles at Stratton Mountain Resort in South Londonderry through March 31, weather permitting. Sundays through Thursdays, 2-9 p.m.; Fridays, 2-10 p.m.; and Saturdays, noon-10 p.m. $8.95-$12.95 for visitors ages 12 and older; $6.95-$10.95 for kids ages 4-11. The original print version of this article was headlined "Frozen Fantasy"